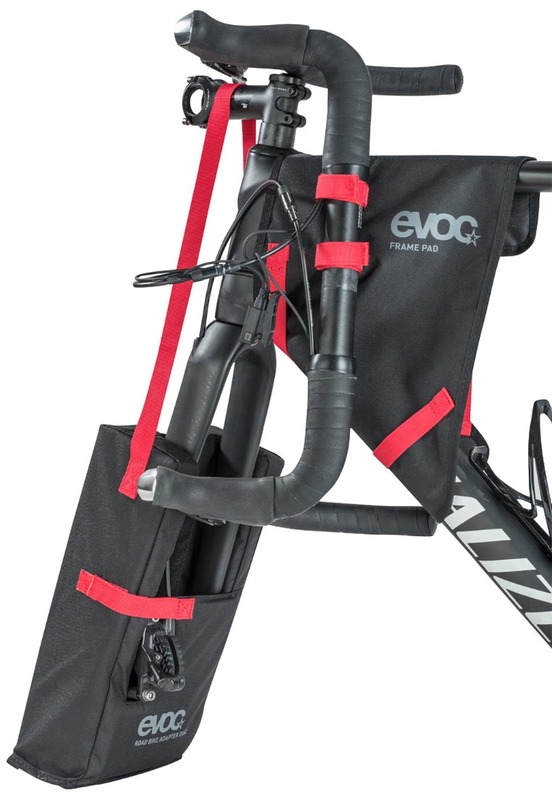 The EVOC Road Bike Fork Protector is used for packaging road bikes in the EVOC Bike Travel Bag and Bike Travel Bag Pro. The protector optimizes packing position and protects your fork from damage and scratches. It works with disc and non-disc forks and securely straps to your stem to keep everything in place. Travel with your bike as protected as possible with the EVOC Fork Protector. I borrowed an EVOC bag for my road bike and had to purchase this to protect my brake calipers & forks. Thick padding and easy to use, I felt that my bike would arrive at the destination unscathed and I wasn't disappointed.